With the advent of digital technology, and its incorporation into custom made hearing aids, the hearing impaired public has benefited immensely. For one thing, digitals process sound at the speed of light. This is on the order of 140 million "bits" per second. Digitals are fully automatic, and require no patient adjustments. Compression is an extremely important concept in terms of controlling the volume of background noise. Compression is the opposite of expansion. Therefore, the internal processors will compress, or reduce background noise at a preset level. Feedback is an annoying whistling sound generated within the hearing instrument, or within the ear canal due to a misfit of the instrument. It can also arise from wax build up in the speaker tubing; or, in the microphone. No one who uses a hearing aid accepts feedback. Digital processors are able to identify the source, and cause of feedback, and eliminate it. How Can a Digital Remember Anything? Digitals typically have memories. This means, that within one instrument, we can program different performance settings. One for quiet listening, one for restaurants, one for music, and even one for use with the telephone. These features translate into having 3, or 4 different hearing aids within one unit. A telecoil is incorporated into digitals aids to enhance hearing conversation when a telephone is held up to the ear that is wearing the hearing aid. One of the major problems, in years past, was that patients did not know how loud, or how soft to set their volume controls. Digital aids have solved this problem. An internal volume program adjusts the volume approximately 200 times per second. This is far faster than using one's finger. What Makes a Digital a Digital? Digital technology was developed to deal with communication from outer space. Spacecraft could not communicate with earth by placing huge loudspeakers on their spacecraft. Digital communication, therefore, solved the problem. 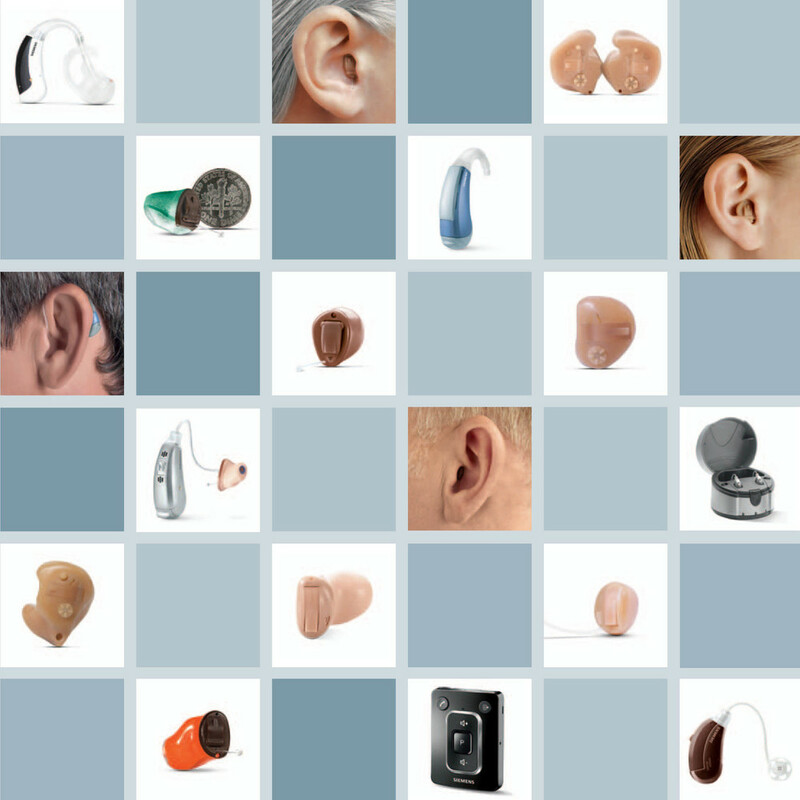 Many of you, who are visiting this website, have worn hearing aids, and are familiar with many of the manufacturers that produce these products. These same companies, no doubt, now manufacture digital hearing aids. All digital hearing aid companies have digital instruments that vary from fairly basic, to extremely advanced digital technology. It is up to each dispensing practice to select the manufacturer they choose to represent. In our practice, our choices are based on performance, and patient preferences. We believe, that patient feedback is the best criteria for the ability of a particular product to restore hearing to the patient's satisfaction. The concept of digitizing sound is not difficult to grasp. The incoming sound waves enter the microphone, and are then relayed to the digital sound processor. This processor converts all sound to binary code; which consists of zeros (o's), and ones (1's). Because sound is converted to mathematical symbols, they can be controlled through programming. This is why digital hearing aids have been revolutionary. Instead of being forced to hear everything, especially loud sounds, the digitals are programmed in a way so that soft sounds sound soft, medium sounds are medium, and loud sounds are not overwhelming, or annoying. Another benefit is, that these instruments can be re-programmed at any time...due to a change in the status of the hearing, or because the patient objects to certain sound characteristics. In essence then, digital aids are good for years, and years. speaker system. Also, volume adjustments are done internally at a rate of 200 or so volume adjustments/second. through programming, a menu that addresses specific complaints, such as "my voice sounds hollow." We hope, that with this information, you, the patient with a hearing loss, will find out for yourself how well you will be able to hear with digital hearing aids.